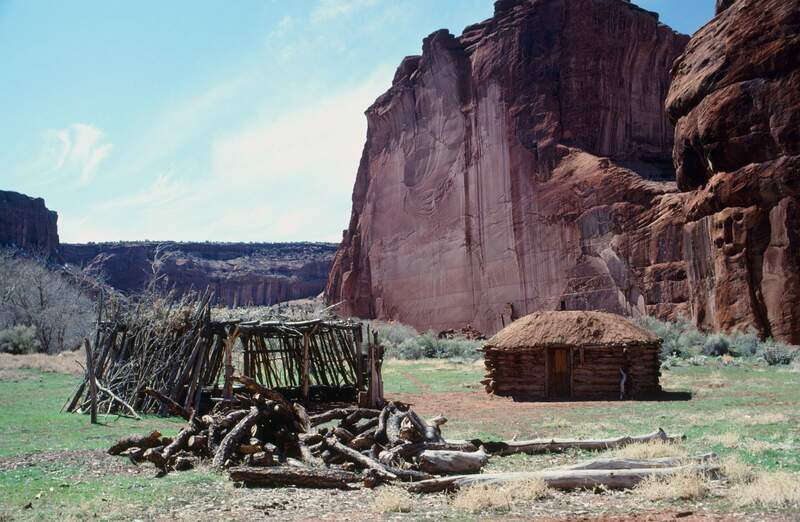 After the Long Walk where Navajos were forcibly rounded up by Union soldiers like Col. Albert Pfeiffer, they returned to their homeland at Canyon de Chelley and to sacred sites like Spider Rock. 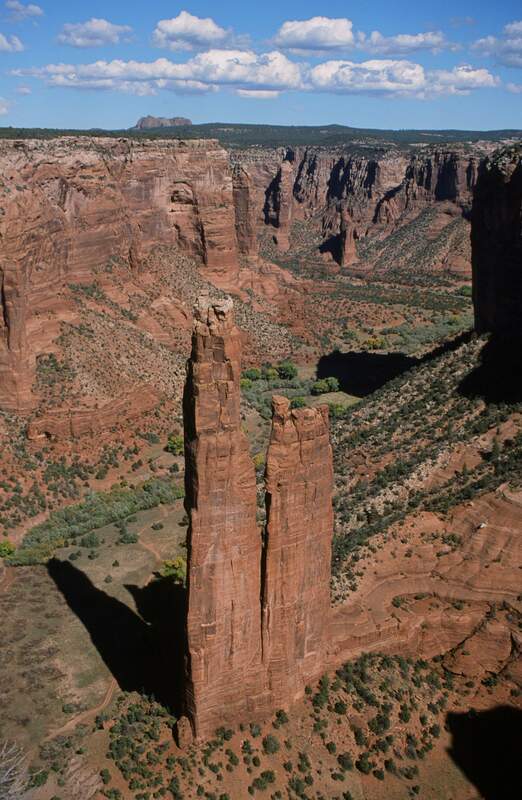 According to Navajo legend, Spider Woman lived atop this sandstone monolith. Here, she taught Navajo women how to weave the rugs and blankets for which the Navajo are famous. 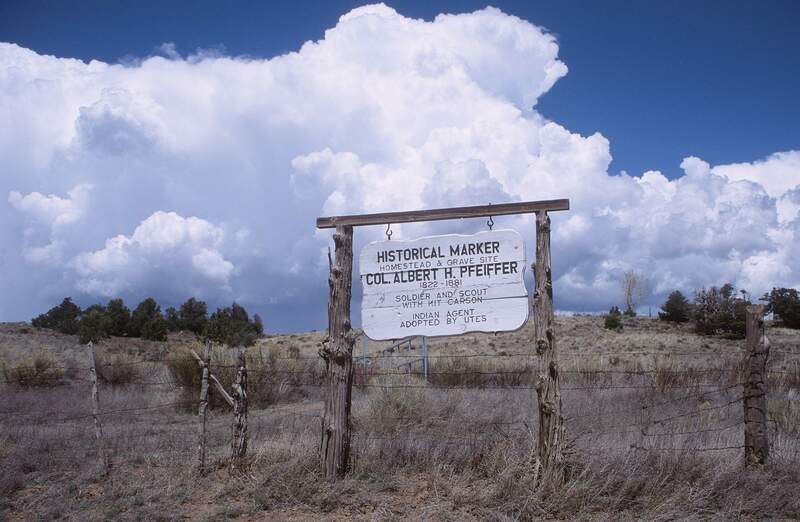 A small sign on U.S. highway 160 points travelers north to Embargo Creek and this larger sign marking Col. Albert Pfeiffer’s grave. 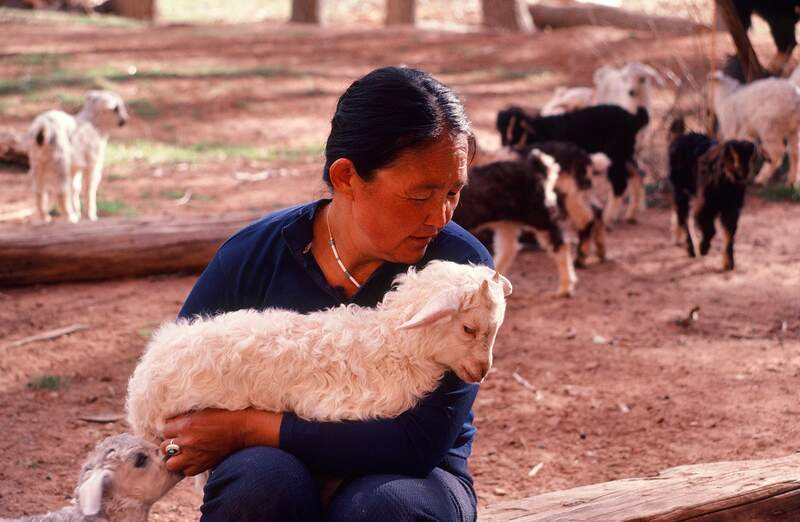 A Navajo woman embraces a young kid goat from her flock which grazes the bottom of Canyon de Chelley, Arizona. Col. Albert Pfeiffer forced Navajos from their homeland during The Long Walk between 1864-1868. Finally, after signing a treaty at Fort Sumner, the Dine or Navajo were able to return. 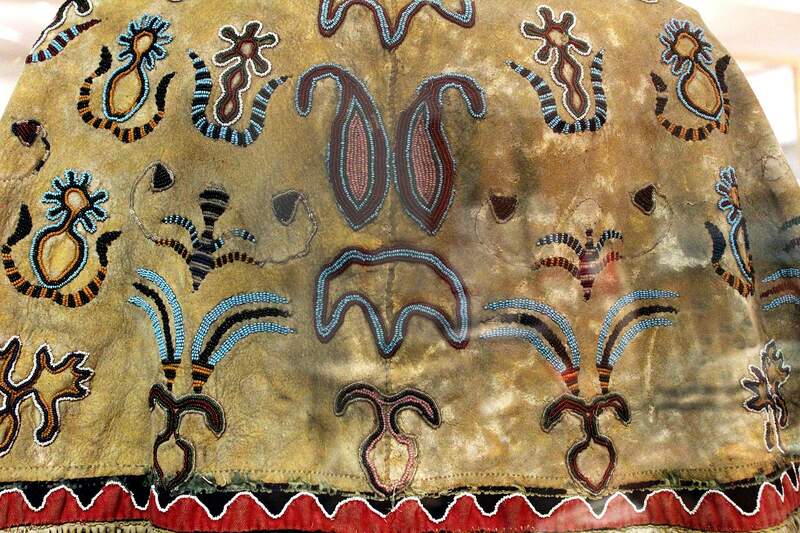 The back or yoke of Col. Albert Pfeiffer’s hand-sewn buckskin coat with its buckskin fringe shows elaborate beadwork. Apparently, three similar coats were made – one for Pfeiffer, one for Kit Carson, and one for Don Luis Montoya. HHHIt is difficult from the 21st century to try to understand the violence and conflicts at the end of the 19th century as Anglos settled the West and tamed the frontier. Like so many other immigrants from Europe, Dutch-born Albert Pfeiffer, at 22 years of age, came west as a soldier. 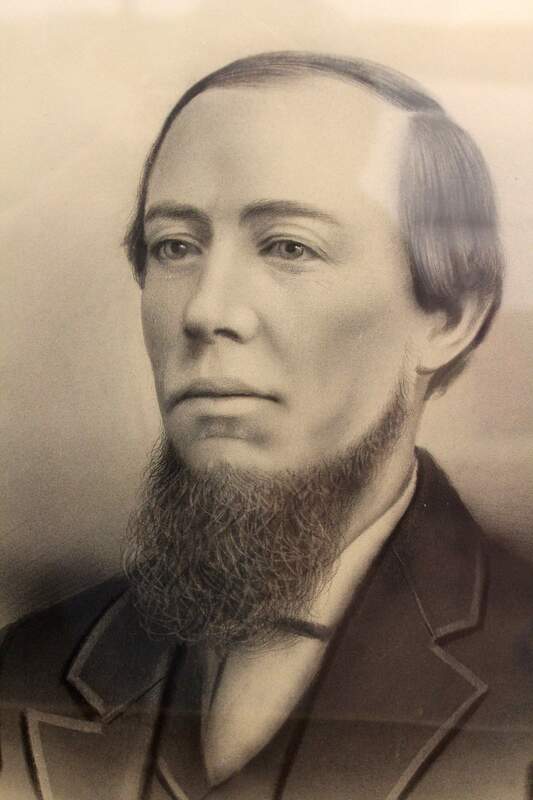 Like many veterans, Pfeiffer used the 1862 Homestead Act. 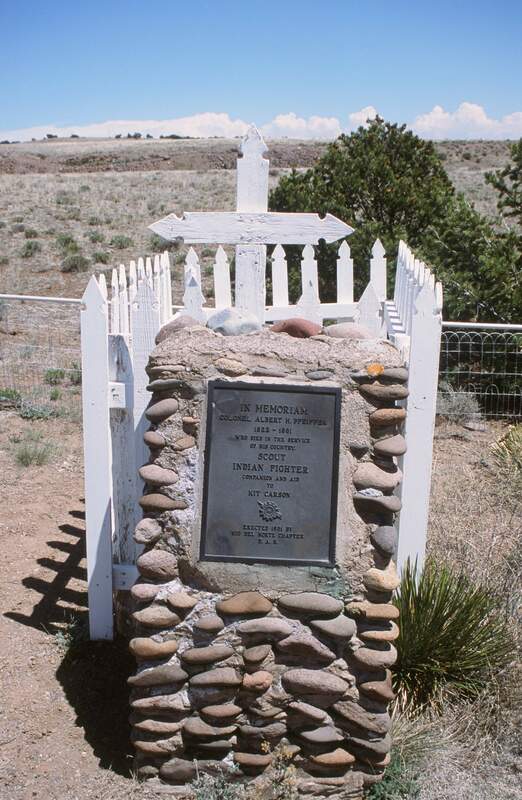 He died in 1881 at 59 and is buried near Embargo Creek between Del Norte and South Fork, “among the foothills overlooking his beautiful ranch,” said his obituary in the April 16, 1881, San Juan Prospector published in Del Norte. 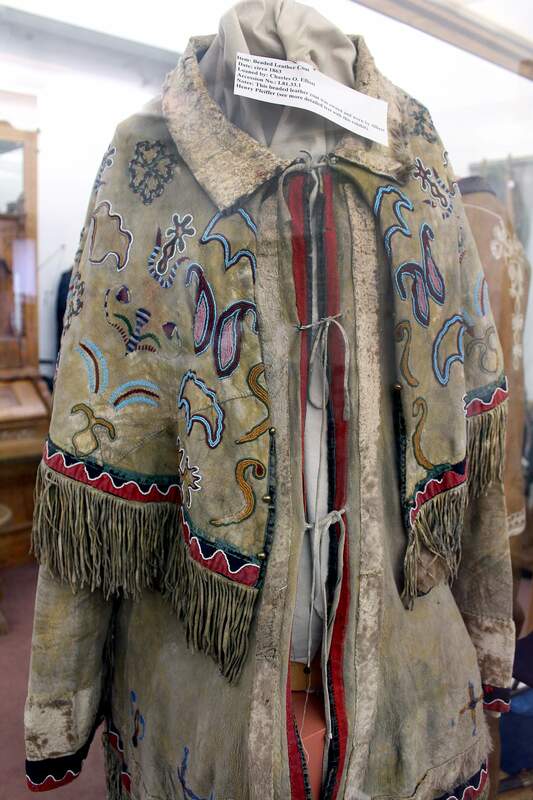 HHHPfeiffer’s son settled in the San Luis Valley and eventually gave a magnificent beaded buckskin coat to the Rio Grande County Museum in Del Norte. Three coats may have been hand-crafted – one for Don Luis Montoya, one for Carson and one for Pfeiffer.